O'Donnellan & Joyce brings to the market this impressive property in a highly sought after location only a few minutes' walk from Galway city centre. This stylish two bed mid-terrace residence is located in the popular and highly desirable residential area of New Road, just a stone's throw from the city centre. The property is conveniently located at the end of New Road near the junction with Presentation Road and Mill Street, and is just a short walk from UHG and NUIG. This is city centre living at its best. The property is also just few minutes' walk from some of Galway city's most famous landmarks such as the Spanish Arch and the Long Walk, Nimmo's Pier, and Galway Cathedral. Salthill Promenade with its beautiful beaches dotted along the coastline is just a 10 minute walk away. No 44 New Road is presented and maintained in excellent condition with high quality fixtures and fittings and careful attention to detail and decor. The current owners have recently installed new sash windows on the front of the property, a feature wood burning stove in the lounge, and a new oil fired boiler and heating controls. The house has an entrance hall, and an open plan lounge/dining room with feature wood burning stove and access to the rear garden. A well equipped kitchen with ample storage/shelving and breakfast bar completes the accommodation on the ground floor. The kitchen also has access to the rear garden. The private rear garden is a wonderful sun trap and is completely decked and offers a built in barbecue grill area. There are also three resident parking permits available with this property, which are essential for any city centre home. The accommodation upstairs comprises a stunning main family bathroom with a beautiful freestanding bath and a large separate shower. There are two bright and spacious bedrooms, one double and one large single room, with both bedrooms containg feature solid wood flooring. Property in this area rarely comes to the market and this is a real gem. No 44 would be an ideal owner occupier residence, holiday home, or investment property with a guaranteed rental income due to its easy access to Galway city centre and all other facilities both educational and recreational. Viewing is highly recommended and guaranteed not to disappoint. The BER is E2. 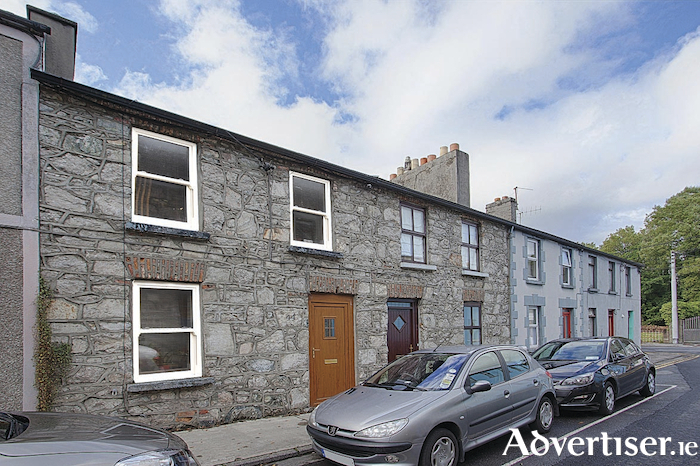 Asking price is €350,000.